1) Sam is crazy for The Lion King. Do you have a favorite Disney movie? 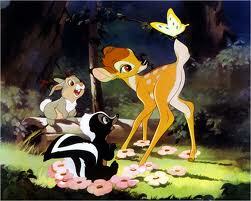 I am overly fond of Bambi. It was the first Disney film I ever saw that I can remember seeing. I also love Mary Poppins still. 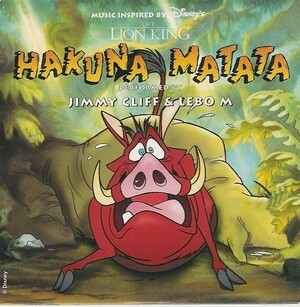 2) The song tells us that Hakuna Matata "means no worries." Is something worrying you right now? April 15 is just a month away. I am such a procrastinator. 3) Who is the most optimistic person you know? 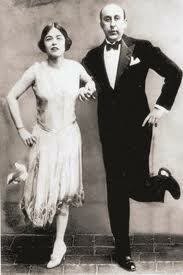 My friend Maggie, she is always up and never has a bad word about anyone, her husband Jiggs might be a close second. I love those folks they are our best friends here in Podunk. 4) Elton John wrote "Hakuna Matata" but didn't record it. Name a song Sir Elton is famous for singing. Candle in the Wind and so many others. 5) Can you play the piano? No, I can't play music on anything.....maybe a kazoo. 6) Congratulations! You just won a guided African Safari Tour! 8 days in Zambia and Botswana for you and a friend. All expenses paid, and allowing you access to breathtaking, unforgettable sights. It takes at least 30 hours to get there, and before you go you'll need yellow fever and hepatitis vaccinations and medication to prevent malaria. Are you up for it? I love travel, but Africa, I would rather see in documentaries. It is one continent I have no desire to see. I don't want to do India (a sub-continent), any more of Asia, South America or Antartica. I am up for anywhere else. 7) There's been a mistake. You really won a 4-night Disney Bahamas Cruise for two. Are you relieved or disappointed that you'll be partying with a guy in a Simba suit on the Lido Deck instead of observing a real lion in the wild? Yes, I love cruising, even though it has a bad reputation lately. Disney should be pretty reputable. 8) Let's bring this back to real life -- do you have any vacation plans? We want to go to New Orleans this spring, before Mr. BC has his knee replacement surgery, and that might be it, until fall. 9) Describe your luggage. Is it durable and high quality? 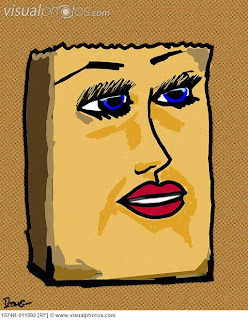 Or are you like Crazy Sam, who has been known to use an Old Navy shopping bag as her carry-on? We have pretty durable luggage, we tend to use carry-on with wheels when we fly. I have used shopping bags for carryon before. I felt the same way about the cruises--I've never been on one but all expenses paid? sign me up! I usually wait until the week before April 15 to have my taxes done. Why give Uncle Sam my money before I have to. I think your "luggage" is prettier and has more personality than many bags I've seen at O'Hare. I hope it enjoys spring in New Orleans! I'd be more into Bambi if nobody got hurt. Of course, that would totally defuse the point. My sister as we speak, is on her way to Kenya, despite State Department warnings. But, I think she will have a great time despite the shots, long trips in overland vehicles with no cushioned seats and the mosquitoes. At my age, I am thinking more local travel -- Santa Fe, New York, more East Coast. Sometimes I think we miss some wonderful travel experiences ignoring the US. I didn't know cruises now had a bad reputation. I'm definitely with you on Bambi, Elton John and Africa/India. Some good responses today. Your blog prompted me to start my Sunday with the soundtrack of The Jungle Book. I can never get enough of it. 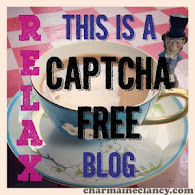 Blogging from A to Z in April Challenge.